Ships tomorrow if you order in the next 16 hours 30 minutes. 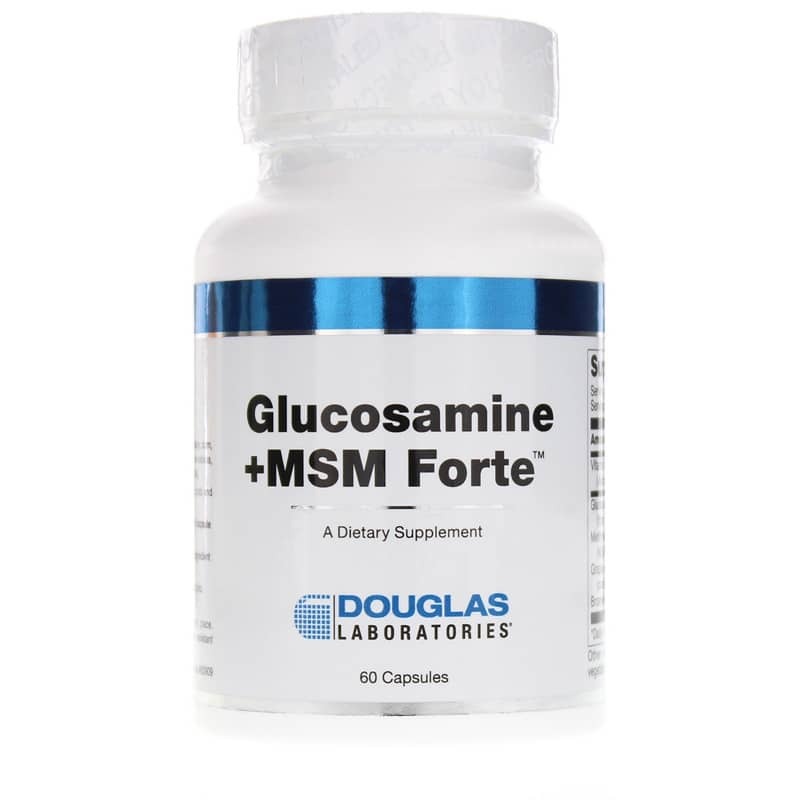 Douglas Labs Glucosamine MSM Forte capsules contain 500 mg of pure glucosamine sulfate and 250 mg of methylsulfonylmethane (MSM). 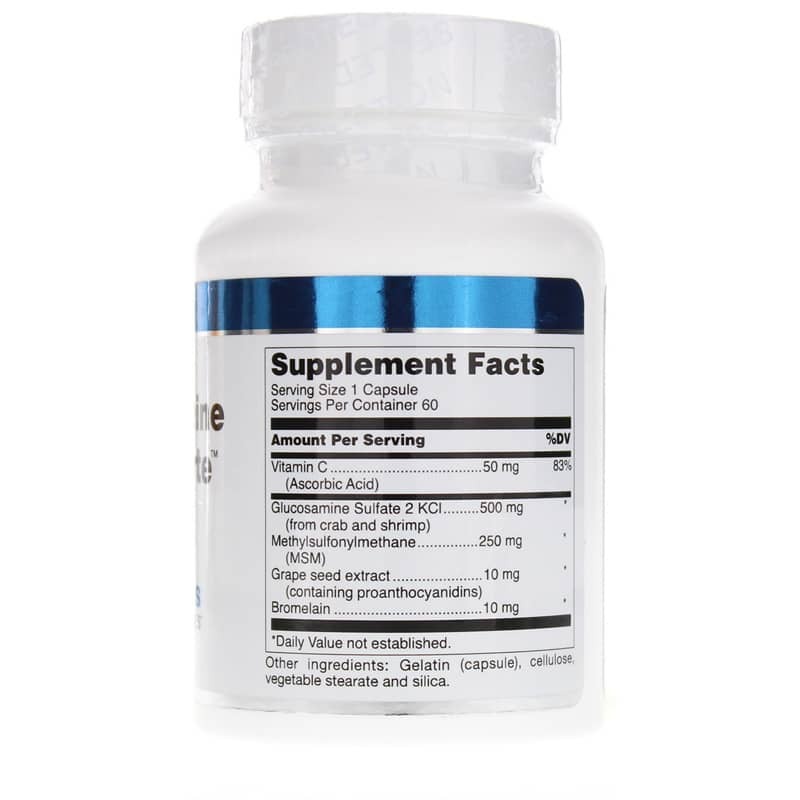 Ascorbic acid and bromelain are also included to provide additional aid in maintaining the health of aging joints. 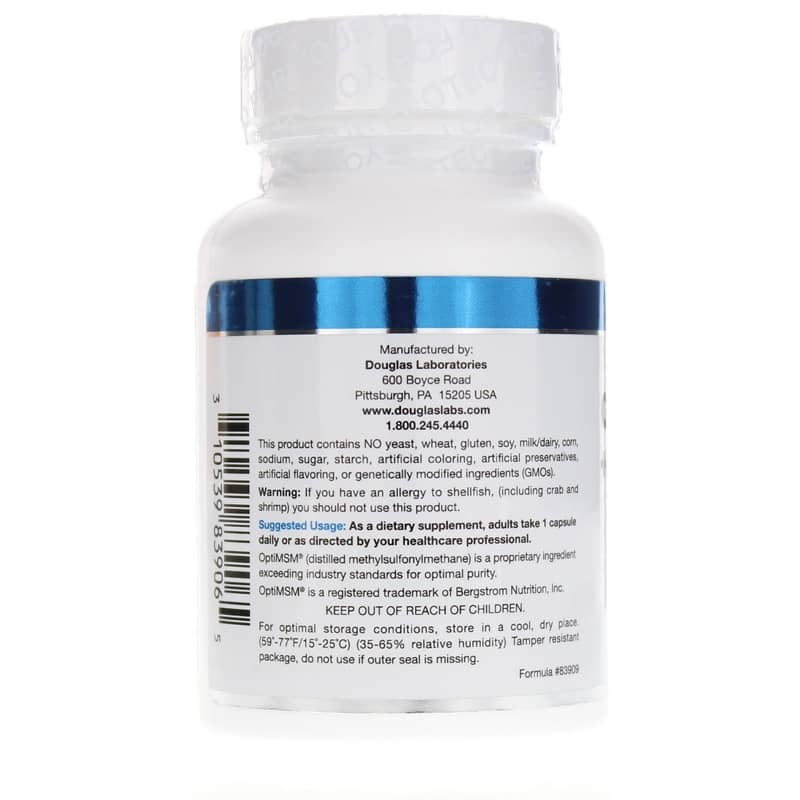 Other Ingredients: gelatin (capsule), cellulose, vegetable stearate, silica. Contains NO: GMOs, yeast, wheat, gluten, soy, milk/dairy, corn, sodium, sugar, starch, artificial coloring, preservatives or flavoring. If you have an allergy to shellfish, including crab or shrimp, you should not use this product. Keep out of the reach of children.